Tan barn-wood with blocks featuring roosters and vegetables. 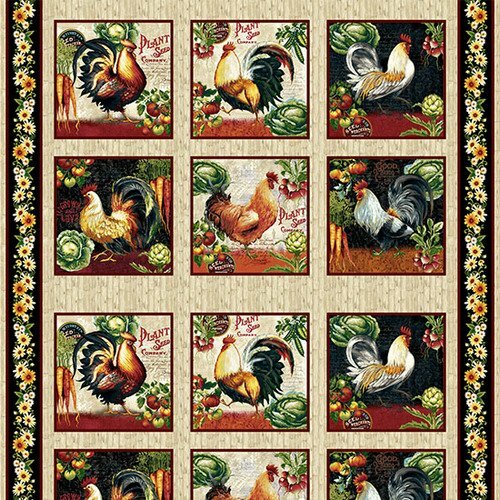 From the Farmer's Market collection by Geoff Allen for Studio E Fabrics. 100% cotton. 44"-45" wide.